Are you are planning a business conference, a private party, a wedding or any kind of event? Chances are you’ll have to think about furniture hire. The right furniture can elevate your occasion but pick the wrong company and you could ruin the whole event. If you are a first-time hirer then it’s all probably a bit of a minefield, I mean, where do you even start looking? Even if you’re an old pro at furniture hire, there’s always something new to learn. You wouldn’t go on holiday without just checking the resort, so don’t just pick the first furniture hire company you see. It pays to do a little research when you are committing to paying a big chunk of money for your event. So go online and check out the reviews for a few furniture hire companies. You’ll soon get the gist as to whether they are reputable and care about their customers. Forums and sites that are not owned by the company will provide an unbiased opinion. Furniture hire companies that hold a good amount of stock will not mind you making an appointment to come and check it out. Visit the premises yourself to make sure the furniture has been cleaned and that the quality is top notch. Ask the manager what procedures are in place when the furniture is delivered and collected. Do they set up for you or just deliver to the door? What are the staff like? Are they friendly and keen on helping and do they make good suggestions? Once at the premises you can sit on the chairs to see how comfortable they are. If you are holding a conference, are the chairs likely to support your back for long periods, will they fit comfortably under the desks you have ordered? Will the furniture fit through the door of your venue? Will it all fit in with room to spare or is it going to be a squeeze? Take pictures of what you are interested alongside measurements so that once you are back at the venue you can picture what your choices look like. Furniture hire companies are not mind readers and can only work with the information you give them. It’s no good turning up and not knowing the main details. Work out your plan with as much detail as possible, including the number of attendees, dates, the address of the venue etc. etc. Have all these details to hand before calling the hire company. Remember that at certain times of the year furniture companies are exceptionally busy. Have a well-prepared plan so that the furniture hire company can know your requirements as soon as possible. Before you think about what you are going to need, your first call should be to the venue itself. Ask them what furniture they have in situ. Your venue may be empty, in which case you’ll need to fill it. Others, however, already include furniture in the price, or allow you to hire from them. To save money it is best to check first. Even if your venue does include some items of furniture, it is prudent to check that they are suitable for your event. You could find that the chairs are not the right style or that the tables are not long enough. Finally, different events have different furniture needs. 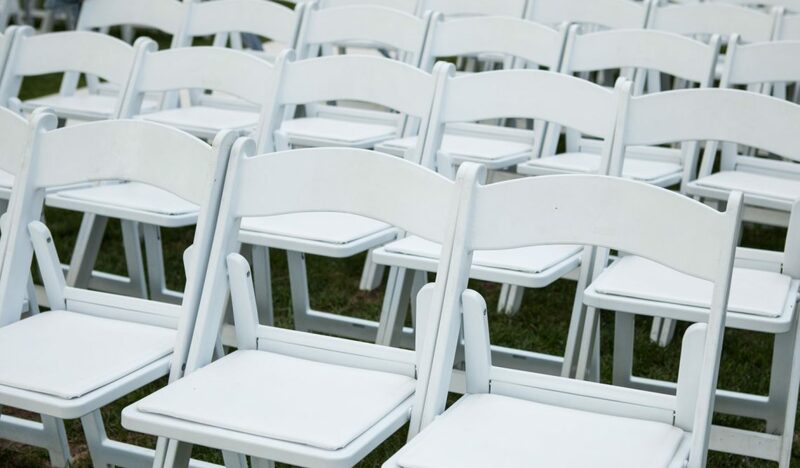 For example, a conference may simply require rows of comfortable chairs, whereas a wedding will have a mixture of needs. A wedding will require crockery, cutlery, glassware, linen and furniture. So, if you are really out of your comfort zone then ask an expert. Your furniture hire company should be more than happy to sit down with you and help prepare a list of what you’ll need. They should be able to help you with everything concerning your event. From the actual themes, colours, textures, placement of certain items to how to marry different styles together. A great furniture hire company will go the extra mile to ensure your event is a huge success.